Since 35 is the new 25, it makes sense that more and more women are having kids after 30. In fact, statistics from the Centers for Disease Control and Prevention show that birth rates for women in their 20s are at record lows, and that 20 percent of women have their first child after the age of 35. This shift has a number of explanations. Women are waiting longer to marry and focusing on their careers. The sheer expense of having children is another deterrent that makes women postpone motherhood until they are more settled (and their bank accounts have some extra padding). But later pregnancies are a concern for many women, and you likely have a lot of questions. Is 30 too old to have a baby? What are the chances of getting pregnant at 30? Is there an increased risk of complications or birth defects? While it's true that the older you are the more challenges and risks you face, having a baby after 30 can be just as easy and safe as having a baby in your 20s. Knowing what to expect can help you prepare to confidently take your first steps toward motherhood. Is Pregnancy in Your 30s Safe? Women in their early 30s typically don't have much to worry about. If you take care of yourself and follow your doctor's orders, the risk of complications is low. Over 35, the risks do increase, but your health status and history are the biggest indicators of what you can expect. "As long as the mom-to-be is healthy and without existing co-morbidities, medical issues such as diabetes, high blood pressure, etc., that would make the pregnancy more 'high risk,' the late 30s are fine to get pregnant," says board-certified obstetrics and gynecology expert, Dr. Angela Jones. "It is just important that expectant parents recognize increased risks that can be involved with having children at later stages in life," she said. If you do have health conditions that could impede a healthy pregnancy, it's important to speak with your doctor about steps you can take to reduce your risk — well in advance of becoming pregnant, if possible. A woman's chance of getting pregnant peaks around age 25 and steadily declines thereafter. By the time you reach 35, your odds for getting pregnant each month have dropped by 18 percent. This is because women have a fixed number of eggs in their ovaries. As they age, the number declines, making them less fertile. In addition, women have a higher risk of health conditions that can affect fertility such as endometriosis and uterine fibroids. But it's not all bad news. "As we get older, certainly the 'quality' of our eggs decreases, but as long as you are healthy, have regular, ovulatory cycles, most do well conceiving," said Jones, who goes by Dr. Angela on her popular iTunes podcast, "Ask Dr. Angela." "Having said as much, the time frame that we give women 35 and older to achieve pregnancy is shorter than what we might give someone slightly younger," said Dr. Angela. "Specifically, we give those 35 and older six months to conceive versus the year we give the general population." But the chances of getting pregnant at 30 or older are much higher than the odds of not conceiving. According to the CDC, only 6 percent of married women ages 15 to 44 aren't able to get pregnant after a year of trying. Even if the highest percentage of those are women over 35, that's still a relatively small percentage. Still, Dr. Angela warned: "Time is of the essence in 'older' expectant moms. If someone 35 and older hasn't conceived naturally in six months, we might intervene and offer assistance." Read more: Can Certain Foods Increase Women's Fertility? Quitting smoking, reducing alcohol intake, maintaining a healthy weight and seeking help for emotional or physical trauma can all increase your chances of conceiving and giving birth to a healthy baby. And remember, it takes two to tango make a baby, and men can also contribute to conception difficulties. The CDC reports that both male and female factors are identified in 35 percent of couples who have difficulty getting pregnant. If you're planning on having more than one child, the good news is you might be able to accomplish that in just one pregnancy. If you're thinking more along the lines of "one and done," you might get an unexpected surprise (two bundles of joy!). The more factors that apply to you, the greater (slightly) the chance you'll have twins. So you'd better hold off on buying a stroller right now, as you might need one big enough for two. 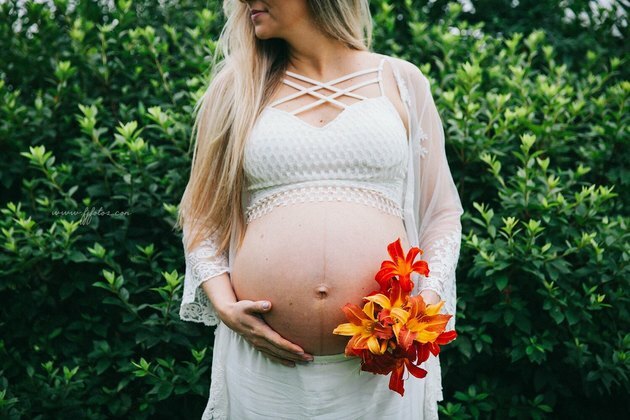 It's an unfortunate truth that the older you are when you get pregnant, the higher your risk of pregnancy complications and having a baby with a birth defect. "This should come as no surprise, as the quality of our eggs decreases with advanced maternal age," Dr. Angela said. While it's not a reason not to have a baby, it is something you have to be prepared for, especially if you are over 35. Miscarriage: Approximately 10 to 15 percent of recognized pregnancies for women of any age end in miscarriage; however the risk for older moms-to-be is higher than for younger women. At 30, the risk is about 20 percent; by 42 it's 50 percent. Genetic Disorders: The risk of chromosomal abnormalities also increases with maternal age. According to the University of Rochester, the risk of having a baby with Down's Syndrome is 1 in 1,250 for women who conceive at age 25, and 1 in 100 by the age of 40. Chance of C-Section Birth: Older moms-to-be have a higher risk of complications that can make a C-section delivery necessary. An example is placenta previa, in which the placenta blocks the cervix. Other risks include gestational diabetes, high blood pressure, low birthweight baby and premature birth. Labour may also be longer and more difficult. However, keep in mind that all of these risks are greatest over the age of 40. You can reduce the risks associated with later pregnancy by being as healthy as you can possibly be prior to conceiving. "Go into it at your best," said Dr. Angela. "I am a HUGE advocate of preconceptional counseling. This is a visit that you have with your physician before you get pregnant to review your medical history in detail. That way, if there are things that need to be addressed, i.e., certain meds that one might be on that aren't compatible with pregnancy, being overweight, poorly controlled high blood pressure, diabetes, etc. — these things can be addressed and optimized to help insure the safest, healthiest pregnancy for all involved," Dr. Angela explained. Aside from that, the most important thing you can do is take care of yourself. "Lifestyle, lifestyle, lifestyle," said Dr. Angela. "Did I say lifestyle?" She did, and she means it. Leading a healthy lifestyle (last one) is crucial for both conceiving and carrying your baby to term, avoiding complications and just feeling better, stronger and more able to handle the challenges of being pregnant for nine months. "A healthy diet and exercise will help stave off things such as gestational diabetes and hypertensive disorders which are risk factors based on age alone," Dr. Angela said. "Also, being in shape will help improve the labor experience. Labor by definition is work! A more 'fit' body will be able to handle labor and all it involves." And, she added, "Labor can be shorter in more fit moms." That in itself is a reason to start eating healthy and exercising ASAP. When you do become pregnant, keep up with your healthy diet and exercise routine as much as you can. In many cases you can continue exercising right up until the birth. Not only will a healthy diet and exercise routine support you in having a baby after 30, but it will also help you recover more quickly after giving birth so you can jump right into motherhood (and your pre-baby pants) with energy and vitality. What to Expect: What Are Your Chances of Having Twins? Tommy's: How common is miscarriage?